Make a style statement this summer in this open mesh detail bikini. 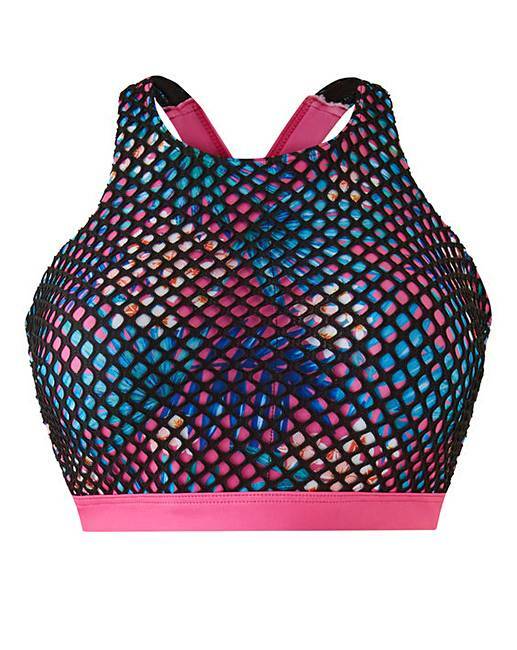 Featuring a pink tropical print covered in black open hole mesh, this bikini will definitely get you noticed. With cross back detailing and fixed foam cups, pair with our matching briefs for a standout look. 86% Polyester, 14% Elastane. Lining: Polyester. Mesh: 96% Polyester, 4% Elastane.